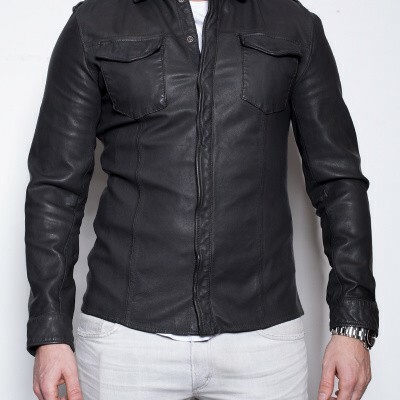 This grey leather men’s shirt is crafted from quality Sheep Drum Dyed leather. 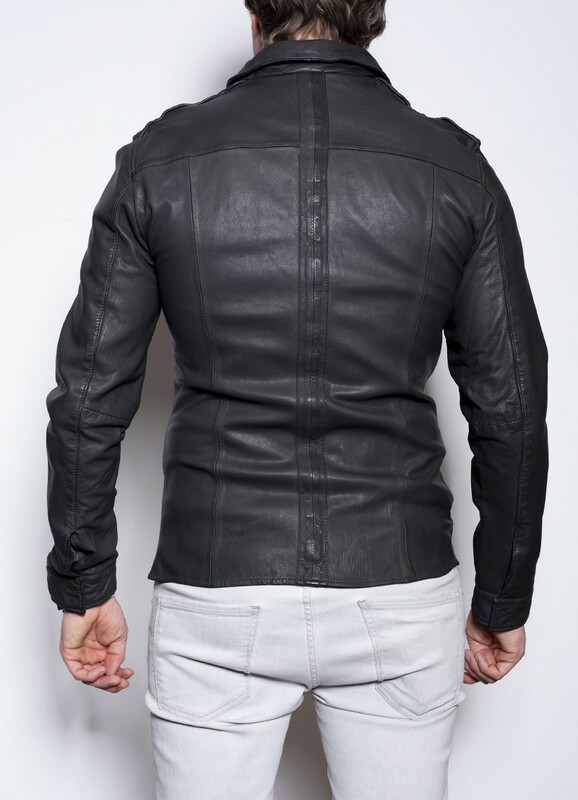 This leather is washed with stones giving the leather a sanded look, this is seen especially on the edges and seams. The seams and edges are therefore not equally straight, making each piece unique. The imperfections give the men’s shirt both charm and character. 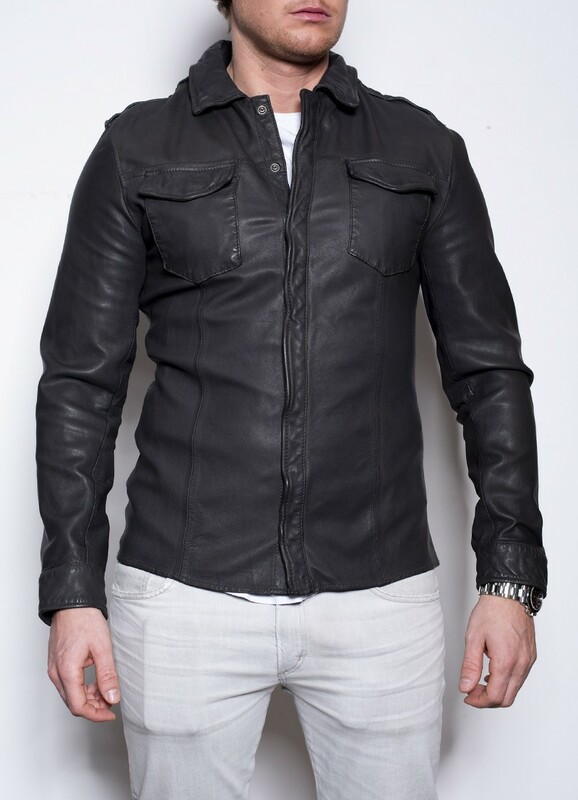 A leather shirt is a key piece for every man. The beautiful colour mole grey a staple addition to your wardrobe. Complete with two chest pockets and press button fastening. May feel tight at first, as the shirt is worn more often it will form to your body shape. Leather is a natural product, the colouring process of leather is a laborious process. Each piece of leather will react differently to this process therefore each part can have a different shade of colour. Be aware that the colour of the shirt can thus be different from the photo.